Heard any audio today?? All of you use and listen to loudspeakers on a daily basis – but how often have you thought about these rather amazing devices, and how they have changed and continue to change our world? This is the first in a series of articles that are intended to discuss the different types and uses of loudspeakers that are used in our industry in terms that hopefully make sense – and we aim to do so without sending you to sleep – or rushing over to wherever you store your old math books in the vague hope they’re not in a landfill somewhere. If you’re a speaker expert you may find this somewhat simplistic – but we’re not trying to go into the science of these speakers. Instead we want to explain the basic differences between the different options available for those of you that are not familiar with the subject. We intend to discuss why you’d consider designing with one type of speaker rather than another one. Wikipedia tells us that “A loudspeaker (or loud-speaker or speaker) is a device containing one or more electroacoustic transducers; which convert an electrical audio signal into a corresponding sound”. 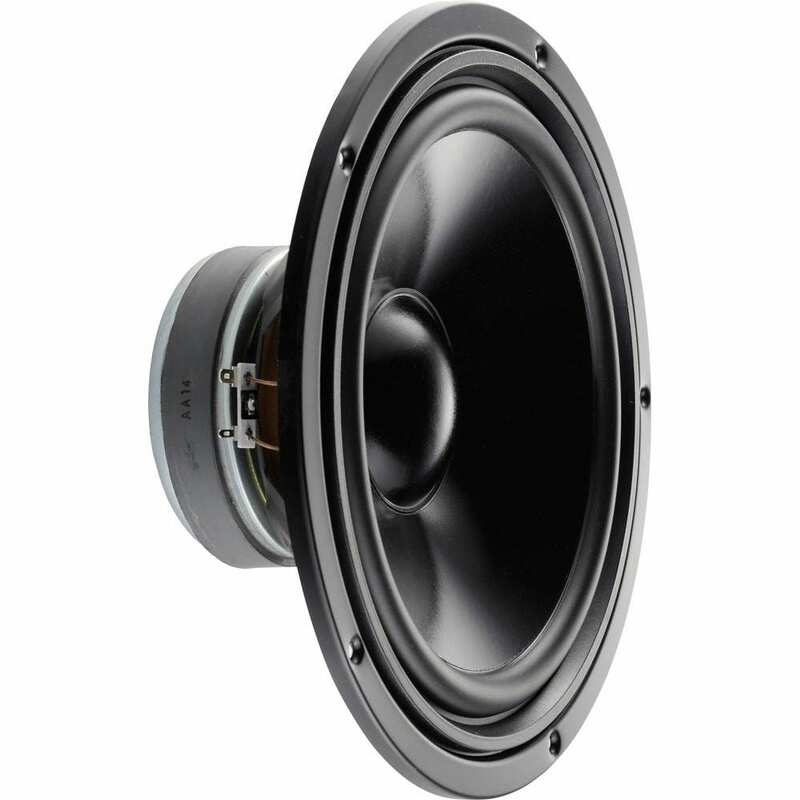 Although Wiki is quite right, there is rather more to it than that when it comes to different speaker types. There are actually a host of different types of loudspeakers – but it is relatively simple to split them into groups that have similar characteristics. Before we start – one thing to remember is that ‘low’ and ‘high’ frequencies behave differently in air. ‘Low’ frequencies (such as generated by a bass speaker) will travel in pretty much any direction, and there’s mostly not a lot you can do about that (although we have seen a quite impressive steered bass array demo a few years ago). High frequencies are easier to control. What that means is bass speakers tend to behave as point sources, and that control of where audio goes can mostly only be done only at higher frequencies. I’m sure you recognize this one. These are the most common speakers that we see every day in the office, retail environments and at home. Spherical speakers are basically point sources. In very simple terms, the output from these speakers radiates outwards sort of like the light from a flashlight (reality is somewhat more complex, but that description will suffice for now). The angle at which the sound radiates matters – sometimes we want a tighter angle, sometimes we want the dispersion angle as wide as possible, and the angle at which a speaker radiates is pretty well set by the way that they are manufactured. In principle, ‘normal’ speakers attenuate at around 6dB per doubling of distance – in other words, every time you double the distance from the speaker, you lose 6dB of volume level, simply because of the way the energy distribution from these speakers works. This means that when you’re close, they can be loud – but that audio levels go down relatively quickly as you walk away from these speakers. This property can be annoying, and it can be very useful depending on how you design your audio system. 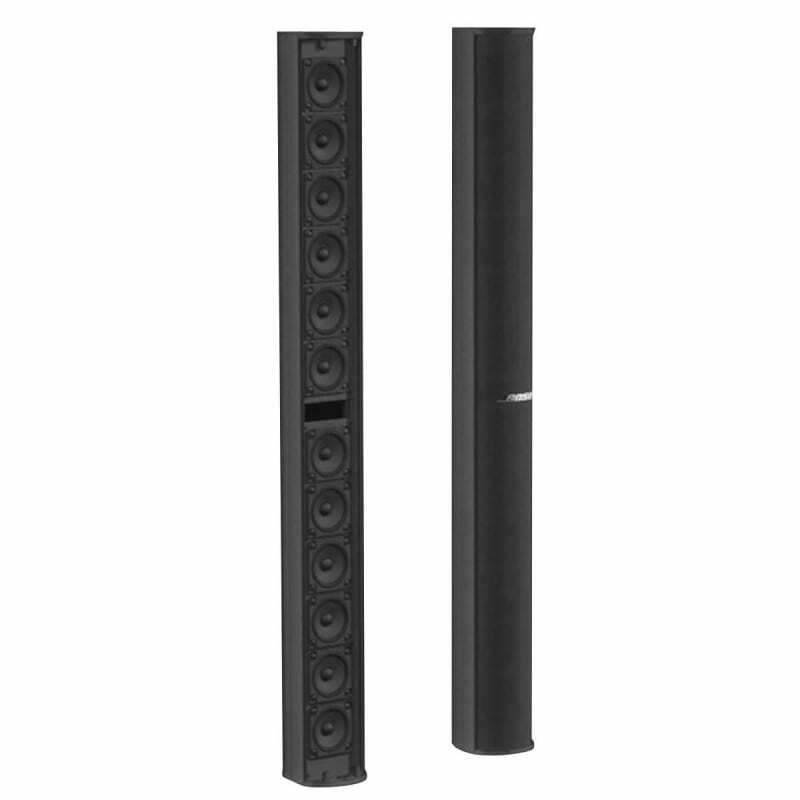 So here’s the thing – although they LOOK just like any other speaker, linear arrays really are quite different. 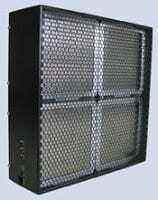 Linear arrays are the huge speaker arrays you see on (or mostly hanging above) stage nowadays. The radiation profile from a linear array is quite different, in that the output is wide, but quite limited vertically. Think of it maybe more like a car headlight where the light output is wide, but not very high. This in turn means that the energy distribution of the speaker is high in one direction (usually horizontal), but limited in the other direction. This results in an attenuation at 3dB per doubling of distance as the audio is directed more tightly. This means that a linear array ‘throws’ sound further than a ‘normal’ speaker – but at the cost of limiting radiation in one direction. By shaping the array, you can control where the sound goes in the vertical dimension, and you can therefore control where the resulting audio ends up. The principle is, that there’s no point at sending audio towards the roof – there’s no one there, and all that energy will only be reflected down causing echoes which reduces audio quality. If you look at these speakers such as the line array speaker here, the audio spreads widely from side to side, but is limited to about the height of the speaker in the vertical direction – so if you want to cover a 6’ area (to deal with a mixed seated and standing audience) you’re likely to want to mount two of these 3’ high speakers on top of one another to create a 6’ high sound field. The good thing is, that there is no extraneous energy that will go up or down from there, so even if you have a hard floor and a hard ceiling, you’ll avoid a lot of audio reflections, which is a good thing especially if you’re intending to get optimal speech intelligibility. We have used linear arrays for a number of different purposes, and like them – the only limitation being that you can’t use them for low frequencies, so for a full range audio performance you’d somehow need to add bass (and control the area where the bass can be heard, obviously). There are some really good applications where this works though, and that is something we’ll address in a future article. Phased array technology is quite normal when it comes to radar – but in the audio field we don’t see THAT many devices. 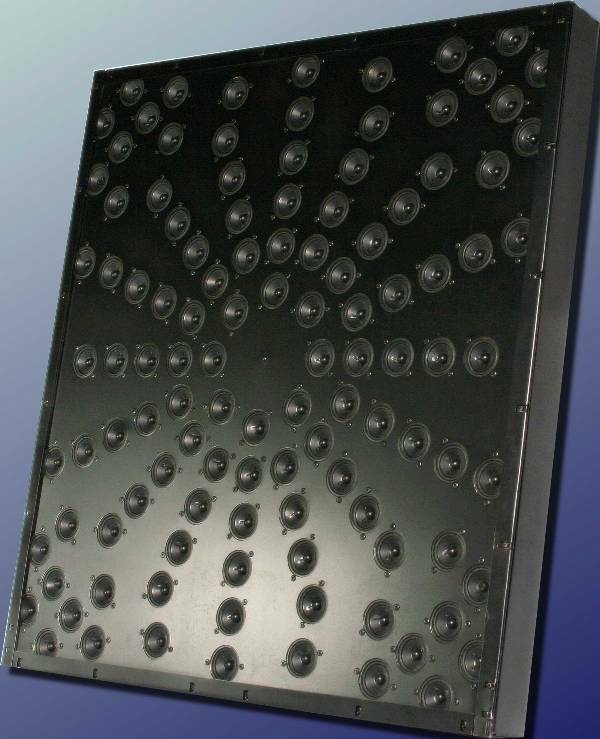 A phased array speaker takes the principle of the linear array one step further by limiting dispersion both in the vertical and the horizontal direction. Some of these devices actually allow you to ‘steer’ the sound somewhat by controlling the exit angle (done by changing the audio phasing between the speakers in this array) which can be very useful. Phased arrays tend to be expensive, and have their limitations, but they can be good for specific uses where other options don’t quite give the desired effect. These speakers have their uses, we’re sure. However, these are not one of our favorites. 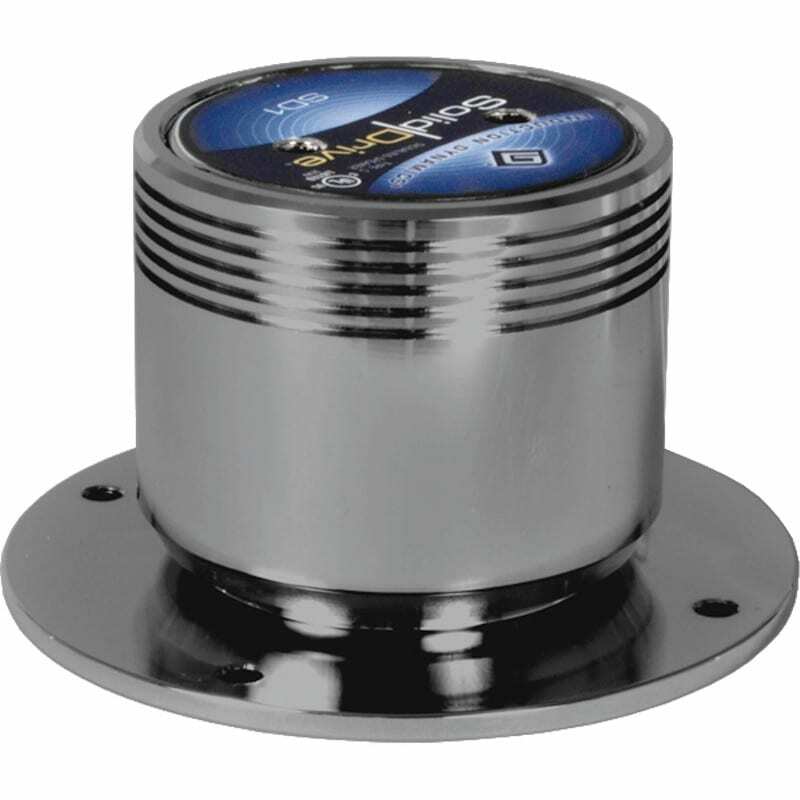 There have been a range of dome speakers available that use a ‘normal’ speaker mounted in a usually fiberglass or acrylic dome. The dome takes the audio output from the speaker and turns it into a beam, a bit like the mirror in the back of your flashlight converges the light from the lamp. In principle not a bad thing – however, since the behavior at each frequency is a little different, you’ll hear this weird effect as you’re walking into and out of the beam that to me always feels like someone is pulling a cork-screw through my head. 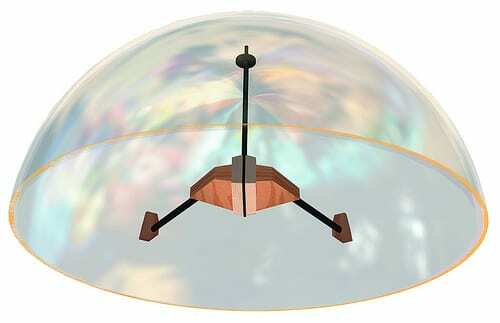 The dome approach does not work at all for low frequencies, so the use of these speakers is limited to voice and music without a lot of low frequencies in it. Combined with the appearance of these speaker types (large and often not easy to hide), we would only recommend their use in situations where there is just no other way of getting audio to your audience. These speakers got a lot of interest a few years ago. The principle is that you send two ultra-sonic beams (easy to steer, as they’re VERY high audio frequencies) and modulate them such that the difference signal is audible – a bit like an in-air mixer effect. Again, not really one of our favorites although they can be useful. We have one in the lab, and anyone who would like to experience one of these is welcome to come and play with it. The problem is the ultra-sonic component, which gives the writer a very uncomfortable feeling, followed by a headache when exposed to it for a while. Not pleasant. The fact that the US Navy use them (with rather higher power levels than the one we have here, obviously) to repel would-be boarders might have something to do with why we’re not crazy about them. Also, they only work for a fairly limited audio frequency range (think ‘tinny’) – about that of an old fashioned telephone. One cool thing with them is, that you can really aim these speakers at someone at a distance, and they’ll be the only one hearing the sound (ideal for pranks, as we found out). The other thing is that the beam will reflect against hard surfaces, which allows you to bounce audio around. Conversely, using these speakers does mean you have to be careful about these reflections as audio can turn up in unexpected places if you’re not careful. Cone-less speakers vary from the ubiquitous “Buttkicker” to a range of other devices that can be mounted onto a variety of surfaces such as Sintra, Corian, Drywall and even glass to turn them into a source of audio. The Buttkicker transducer transfers low frequency energy (only) into whatever they are attached to (seats are a popular destination for these devices to cause a ‘rumble’ effect). Other higher frequency devices are used to hide speakers into set work and in effect turn the surfaces to which they are connected into speakers. These devices can be very useful, but don’t expect a low cost solution when they’re set up and used properly. The limitation really is that the frequency response of the result can be somewhat problematic, and although you can get generic ‘filters’ with these devices, we have found that using a Digital Signal Processor is the right solution: you can set the frequency response to something that is acceptable by using white noise as an audio source, and then analyze what the output actually sounds like – and then to compensate for the various strange frequency related behavior using the DSP. The result can be quite acceptable, and there are sometimes enormous advantages to using this technology. Well – that’s about it for this article on basic loudspeaker types. There are more options out there, but these are the ones that are most relevant to our industry as they’re the ones we’ll come across most often – and they’re the ones you’re most likely to be working with. If you’d like more info on any of this, or if you’d like a more in-depth article, let us know; we’d be happy to help!